Far too many games stick to the same old, something that is tried and tested. That’s all good and well, there’s nothing wrong with a developer doing that. But, it’s important to expand to new and untested sub-genres. Until Dawn is a fine example of this. Sony didn’t know how gamers would respond, after all, a movie themed game is rare and probably an 8th gen first. 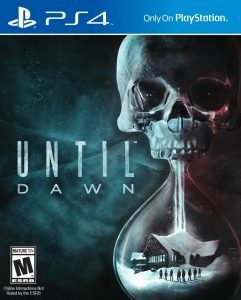 However, it’s fairly clear that Until Dawn was a risk worth taking, that’s because the verdict is out and the majority love it. Heavy Rain, a game released back in 2010 on PS3, is basically where the idea came from for Until Dawn. It won awards and provided something completely different – and the same is expected once again. The main difference this time around is that the PS4 is running the game – it’s given more possibilities, ideas and opportunities for the development team making the game. It’s also amazing that the DualShock 4 controller is highly involved with the gameplay. I’m convinced that we’ll see more of these games in the future, yet they’ll probably remain a rarity. Why? Because they aren’t easy to make. It’s easier for developers go down the ‘rinse and repeat’ route, take the Call of Duty franchise as a fine example. However, expect Sony’s upcoming VR to open more doors for this specific genre – after all, it’s another great tool for game developers to use within gameplay. The narrative is the most important factor for this type of game, then you require the ability to engage the gamer through a variety of possibilities. It’s certainly not the type of game that is easily made. But it’s these types of games, those that aren’t vanilla and simple, which become award winners. Many PS4 gamers are already demanding an Until Dawn 2 – that’s just how popular this game has suddenly become. The ideas are endless for this type of game and when you’ve got the PS4 capabilities to work with, that’s when you can dream up anything. Whilst I love the snowy setting more than anything I could imagine, could we next have a movie script based in the jungle or ocean under a new name? The Last Guardian – What’s all the fuss about?